Anyone who has ever had a Greek salad or a gyro knows how important Feta cheese is in the assemblage of delicious Greek delicacies. The tangy flavor and salty complement that this cheese adds to so many dishes has increased its popularity in cuisine the world over in the past few decades, and it doesn’t seem to be stopping anytime soon. Today, we want to tell you a bit more about the history of this all-important item, its nutritional values, and some creative and wonderful ways to make use of it in your own kitchen. Feta has traditionally been made from sheep’s milk, or a combination of sheep and goat’s milk, for over 6,000 years. Although today many store brands use cow’s milk, you can use whatever kind of milk you choose if you decide to make it at home. 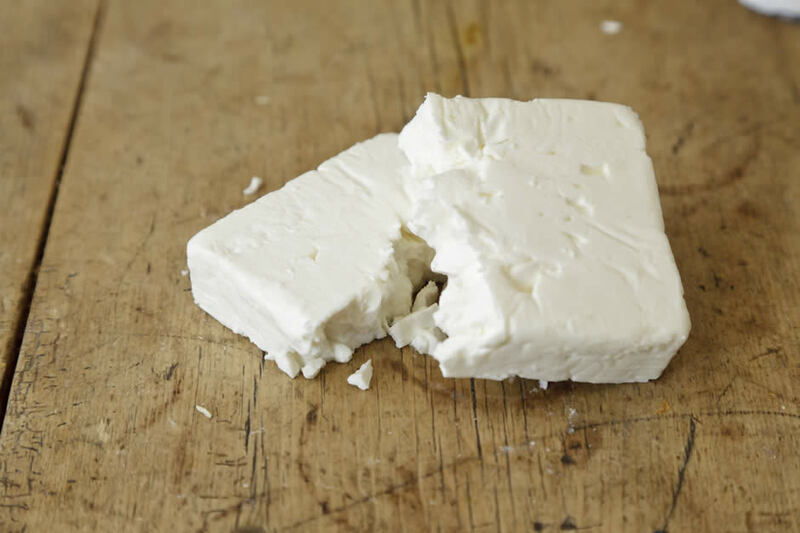 Feta is made using milk, yogurt, table salt, and rennet. According to www.Dr. Gourmet.com these simple ingredients make this cheese not only delicious, but comparatively low in fat with other cheeses (about 6g per 1 ounce). It is also high in protein (4g), low in calories (about 75), low in carbohydrates (1g) and low in cholesterol (25mg). Because it is a brined cheese, Feta does tend to have a slightly higher sodium content than some other cheeses, but adds so much flavor to dishes you may not need other seasonings. 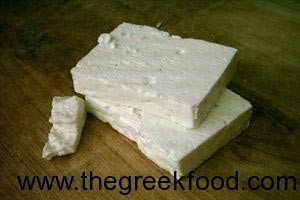 Make your own Feta at home! 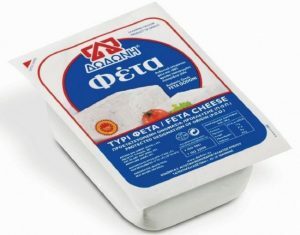 Feta follows an uncomplicated recipe which requires no special tools or knowledge. To make it at home, you will need a large pot with lid, a long-bladed knife, handkerchiefs, a strainer, and a cheese mold in addition to the ingredients listed above. Follow these simple instructions, and that I found from the page of Dr. Fankhauser of the University of Cincinnati for more details. Begin by warming the milk to 30 degrees Celsius (86 degrees Fahrenheit) in your large pot while stirring regularly so it does not burn. Remove the warm milk from heat, mix together equal parts yogurt and cool milk and add to the warmed milk. Stir thoroughly, cover, and let sit for one hour at room temperature. Meanwhile, dissolve the rennet in cool water. After an hour, add the rennet to the milk mixture and stir thoroughly. Cover, and let sit overnight at room temperature. The mixture should gel and some of the whey may separate. Cut the curds into approximately ½ inch cubed pieces. With a clean hand and arm, reach to the bottom of the pot and lift the curds to stir them. Occasionally stir the cut curds while they sit for 10-15 minutes. Filter out the whey using the strainer lined with a handkerchief and save it to make brine. It may take 2-4 hours to drain all the whey, which can be done at room temperature or in the refrigerator. Mix salt into the drained curds and break them up sufficiently. Mould the cheese and let it sit overnight. Make brine from salt and whey. Cut the cheese into 1.5 inch cubes and place into a jar, pouring the brine over them. Store in the refrigerator and rinse excess salt before serving. You may be familiar with the most common dishes that incorporate Feta, but this is one mouth-watering ingredient that you can let your imagination go wild with! Try the following uses for something new, or add it to your existing favorites for an exciting twist! A Feta cheese pie made with yogurt and eggs is similar to a quiche and is a perfect breakfast dish or snack. Stuff peppers with Feta for a spicy, zesty meal or side dish. Can be baked or grilled. Bake a casserole of blended meats, spinach, eggplant, potato, zucchini, olives, or beans with Feta. Many combinations can be obtained with vegetarian or meat-lovers options. Try a salad combining watermelon with Feta for a light summer snack. Slices of red onion and a sprinkling of balsamic vinegar can make this dish out of this world. Whether added to a pizza, baked into a cheese pie, or grilled on its own, Feta cheese has historically been one of the most versatile ingredients in Greek dishes. If you’re not making use of this crumbly, irresistible delicacy you are surely missing out! Learn all you wanted to know about the most famous greek cheese.